OCEM Airfield Technology is proud to present LERA, an elevated LED approach and landing of airport runways. 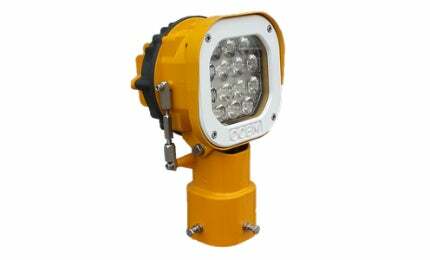 The LERA signal has an average lifespan of about 60,000 hours and more than 100,000 under normal hours of usage. It has the same luminosity as a halogen lamp and its colour comes directly from the LED without any filtering. Its frontal glass is mechanically clamped to the body by a plate with a dedicated gasket seal. Replacement is fast, simple and needs no sealants. The new LERA can be directly assembled on the field without the need of any special tools. Moreover, it is possible to remove the power cord without losing any protection degree (IP67) . It has a simple and reliable azimuth adjustment system with dual threading (patent pending). Its consumption is around 38VA . An additional advantage is the possibility to remove the power supply board and LED out in the field without loss of signal orientation. Finally, it is possible to assemble the signal without the chance of losing screws and hooks. The galvanic insulation of the internal components represent its’ latest and newest characteristic. In fact, it guarantees the safety and protection from high over voltage.